Whether traveling to gigs on horseback or by tour bus, Americana mavens The Brothers Comatose forge their own path with raucous West Coast renderings of traditional bluegrass, country and rock ‘n’ roll music. The five-piece string band is anything but a traditional acoustic outfit with their fierce musicianship and rowdy, rock concert-like shows. 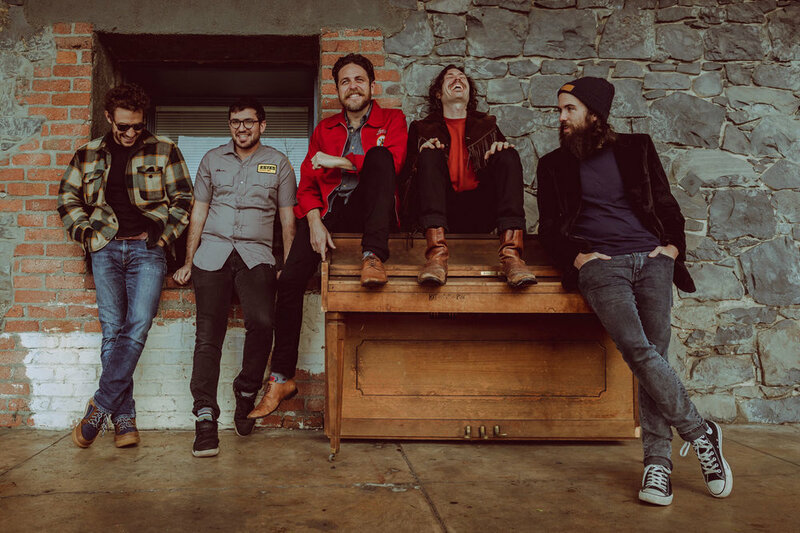 The Brothers Comatose is comprised of brothers Ben Morrison (guitar, vocals) and Alex Morrison (banjo, vocals), Scott Padden (bass, vocals), Philip Brezina (violin), and Greg Fleischut (mandolin). When they’re not headlining The Fillmore for a sold-out show or appearing at Hardly Strictly Bluegrass Festival, the band is out on the road performing across America, Canada, Australia, and hosting their very own music festival, Comatopia, in the Sierra foothills. April of this year is finding the band touring Latvia and Lithuania as cultural ambassadors for American Music Abroad, which is run by the US State Department with the goal of sending American artists all over the world as a cultural exchange program. The band toured China in 2018 under the same program. The remainder of 2019 will see the Brothers Comatose hitting the studio to record on their fifth studio album to be released on AntiFragile Records.